If you’ve got a Nintendo DS, DSi or the latest DSi XL then you may or may not be aware of the homebrew scene that the handheld has spawned. Homebrew software is the catch-all term given to fan-made games and tools for platforms that are not usually open to development. 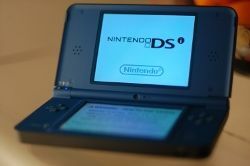 The Nintendo DS is no exception and has its own fair share of tools and software that vastly enhance the handheld’s capabilities. If you’re interested in emulation, media playback and the ability to play games from a memory stick then read on. In order to put your DS on steroids, you’re going to need to make a small purchase. Nintendo DS homebrew applications must be launched using a custom game card (often called a flash card) that fits into SLOT-1 (your normal NDS cartridge slot) or SLOT-2 (the original DS GameBoy Advance slot, though these are now outdated and should be avoided). I’m not going to go into detail about which card you should buy – there are hundreds on the market already, each claiming to work a treat. As they’re cheap to produce and fairly easy to sell there are a vast number of clones available, which often take the name of more original products. Wikipedia has an article listing a great number of these devices, with a few warnings about known clone cards. If you’re seriously thinking of using your DS for homebrew and backups then I’d recommend doing your research before committing to purchase. At the time of writing, there are a good number of cards that support the very latest Nintendo DS and DSi firmware, and this is important to check. When I bought a flash card, I emailed the retailer first just to make sure, though the seller should have just stated this on the product page. The more popular devices usually use flash memory (MicroSD is a popular choice, with SDHC compatibility boosting storage capacity greatly) in the form of a memory card that slots into the game card. 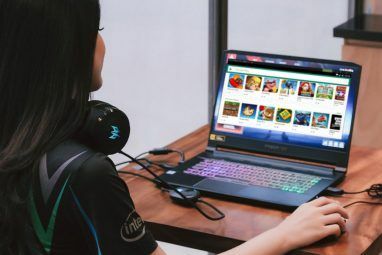 Your game card should come with full setup instructions, and these will most likely involve downloading and transferring the latest available firmware onto the device’s memory via your PC. Your brand new DS flash card can do a few wonderful things that Nintendo really aren’t pleased about (provided you bought a good one, and no cheap knock-offs). The first is the ability to run “backup games”. Backup games (often just referred to as ROMs) are “dumped” DS cartridges in file format (usually .NDS) which you can transfer to your flash card and play straight from file. Whilst this is horrendously illegal if you don’t own the original cartridge (don’t say I didn’t warn you), it’s a very convenient and almost futuristic way of accessing your game library. Who wants to carry round 15 cartridges and the console when you can stick everything on a flash card and leave it in the console? It’s worth pointing out that not every Nintendo DS ROM you load will work, but flash card firmware updates often resolve these issues. Oh, and no – I’m not going to tell you where to get your ROMs from. Don’t even ask. So go out and get your MicroSD card. I’ll tell you more about Nintendo DS homebrew apps and emulation on Wednesday. Do you have a flash card? What brand? Are you pleased? Tell us your suggestions in the comments! I like the idea of storing all my DS games on one memory card instead of having to carry them all around. Does anyone know if this would be compatible with my New 3DS without hacking the console? For DS games, that is, not 3DS games which usually can already be purchased through the eShop anyway. That way I can sell my old DS, but still keep all the games in one place and play them on my 3DS, which sounds really nice. I have a CycloDS Evolution, which I bought about 3 years ago after researching all the options for several months before making a purchase. 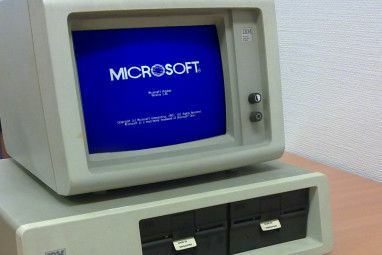 It's never been unable to handle a ROM or software I put on it and I've convinced at least 9 of my family and friends to purchase one as well. It is the single best peripheral I've bought for any videogame console that I've ever had. 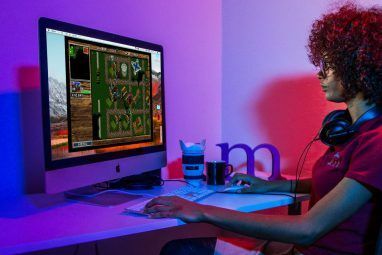 I don't think this is a very good article compared to what MakeUseOf usually provides. You're basically just telling people that something is possible without giving any real instructions or any reliable sources to actually purchase the required items. Sorry about that, we had to split this one into 2 parts. Hopefully when part 2 comes out on Wednesday the article won't seem so bare. I'm not linking to any resources to buying the items as there are so many available, and they're dodgy devices as it is. They work though, and that's what Nintendo doesn't like! Aha, I did not notice that "Part 1" in the headline. Thanks! My favorite flashcard? Acekard 2i, it's the most advanced and updated one.